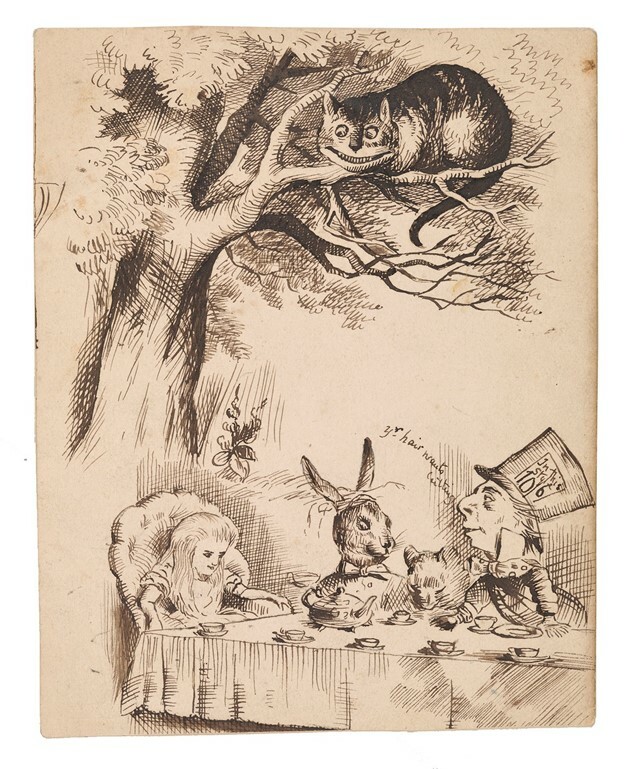 Over 150 years after its release, Alice in Wonderland remains a cult classic in both pop culture and literature alike with its creative cast of characters, fanciful poems and scenes loved and appreciated by all generations. The tale defies logic in the most fantastical way: babies turn into pigs, caterpillars dole out advice, flowers insult Alice, lobsters dance and croquet is played with flamingos. Quintessentially British, its narrative is of legendary proportions and embedded within culture, while the story itself makes countless references to tea parties and Oxford. 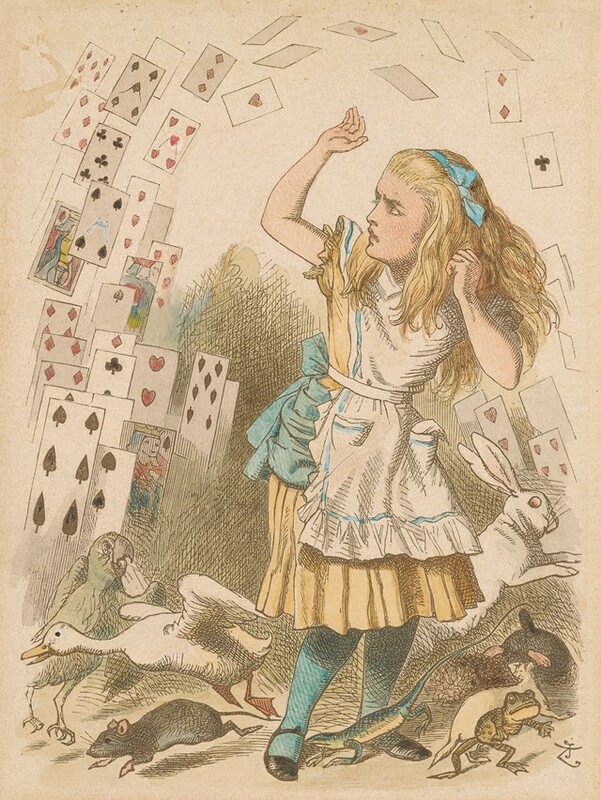 Today the exhibition Alice: 150 Years in Wonderland opens at The Morgan Library and Museum in New York. 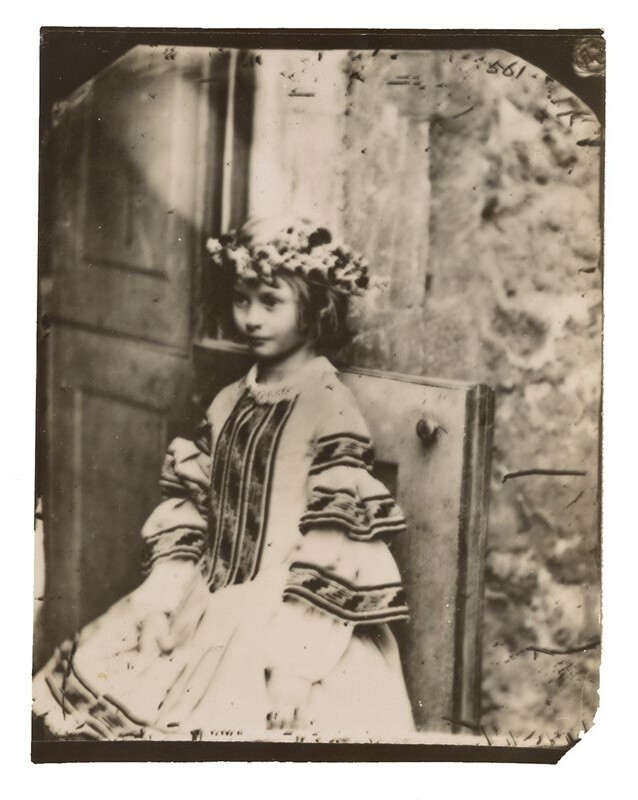 The show includes the book’s original manuscript, correspondences from author Lewis Carroll, vintage photographs of Alice Liddell (whom the book was inspired by), drawings and rare editions. Here, in celebration of the new exhibition we look at the lessons we can learn from the original books, from indulging in whimsy to believing in the impossible. Alice’s Adventure in Wonderland begins on a riverbank, with Alice’s older sister reading to her. 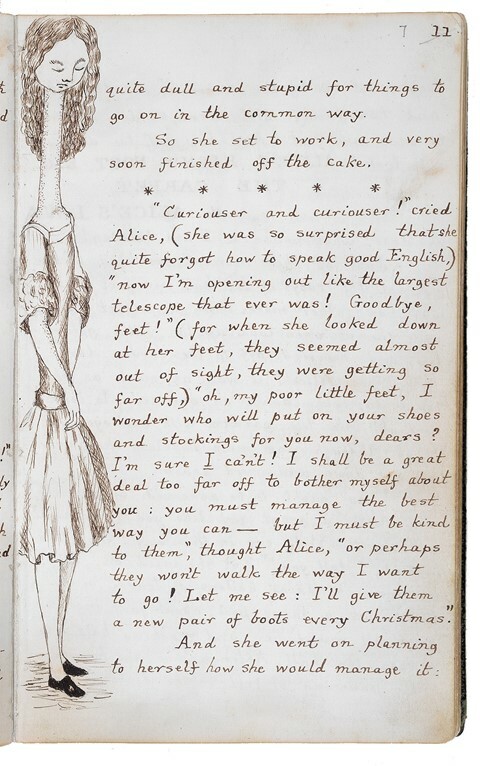 Clearly bored by the story, Alice wonders “what is the use of a book without pictures or conversation?” She spots a white rabbit running by, eventually diving into a hole. Alice follows her impulses and dives into the hole along with the rabbit, falling down into another realm. While she falls, she philosophizes about the other side of the earth, imagines a conversation with her cat Dinah and grabs a jar of marmalade from one of the shelves surrounding her. She lands unharmed and embarks on the rest of her adventure. Alice doesn’t play by the conventional rules of a little girl during the 1800s; she’s up for whatever comes her way and is willing to take a chance on the unexpected with brilliant results. After Alice falls down the rabbit hole, she grows to a large size and frightens the white rabbit. Uncertain of her identity, she asks herself, “Who in the world am I?” As quirky as the rest of the tale's characters are, they’re all sure of themselves and know who they are. “We're all mad here. I'm mad. You're mad,” says the Cheshire Cat. As the narrative of the story proves, you’re better off knowing who you are and having your own opinions. In the woods, Alice frequently relies on other characters to direct her during her early adventures, and is consistently challenged. In the final chapter, she criticizes and fights with the Queen. Only when she recognises who she is, and comes into her own, is she set free. Who would have thought that a caterpillar with an attitude, smoking a hookah, would know all the answers? 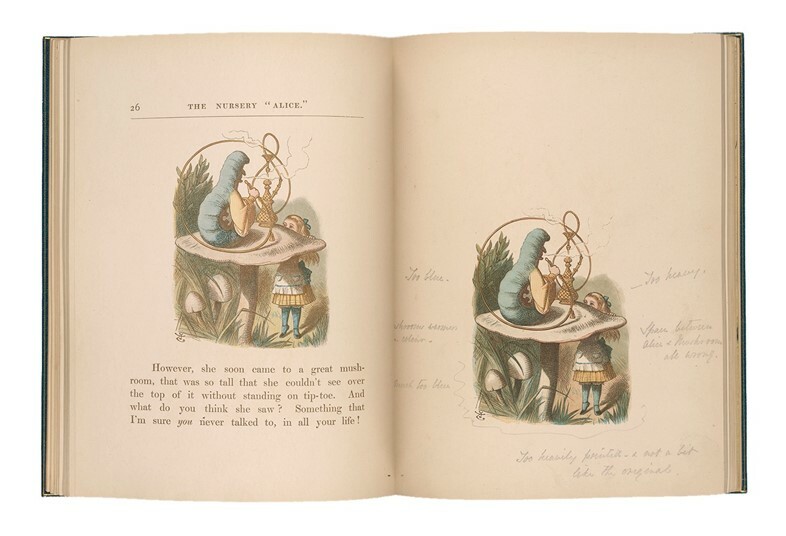 At one point during the story, the caterpillar challenges Alice's identity, briskly asking, “Who are you?” Alice, upset with her temporary small size laments her woes to the creature who only says, “You'll get used to it in time,” while continuing to smoke his hookah. He’s adamant that he won't help Alice or aid her in her distress, but near the end of their conversation he utters, “One side will make you grow taller, and the other side will make you grow shorter,” suggesting that Alice eat the mushroom near her. It’s this bit of advice that gets Alice on to the next stage of her adventure. 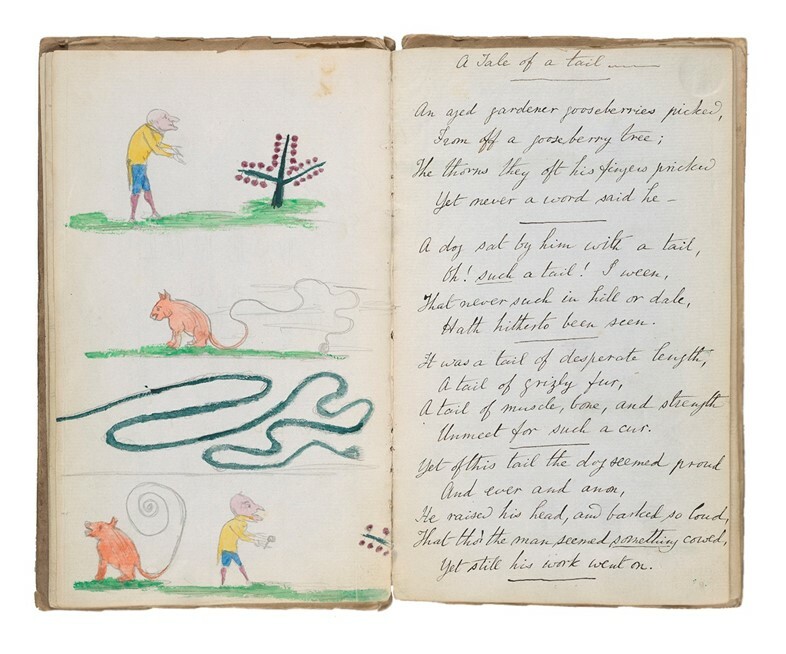 Lewis Carroll (1832–1898), Useful and Instructive Poetry, dated [Croft Rectory, Yorkshire, 1845]Autograph manuscript, Alfred C. Berol Collection, Fales Library and Special Collections, New York University. There were many times that Alice could have given up on her adventures due to all the challenges she faces: growing larger and getting stuck in a house, becoming too small, getting dazed and confused in the deep woods. In Carroll’s sequel, Through the Looking Glass, the older Alice gets a lesson in believing in the impossible. 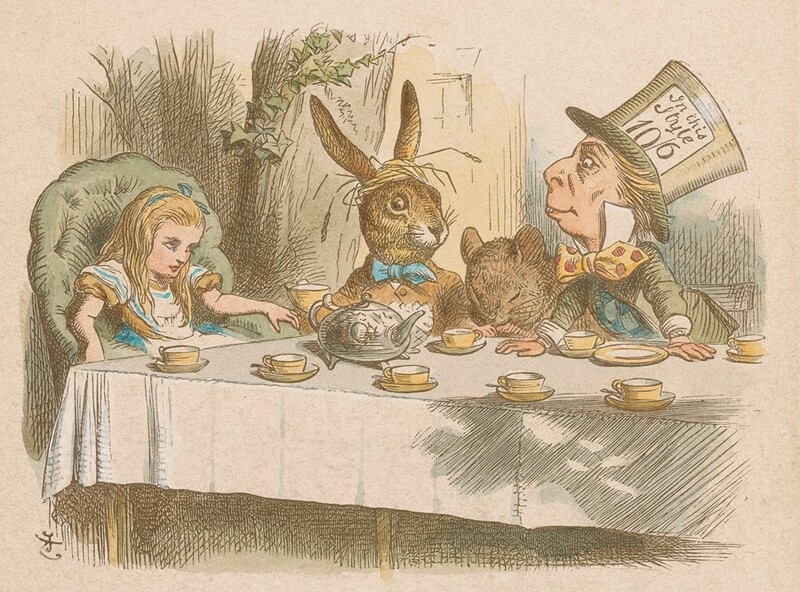 The Queen tells her, “Why, sometimes I’ve believed as many as six impossible things before breakfast.” As Alice continues on her way, she adopts the Queen’s point of view. What is life without impossible hopes and dreams, anyway? 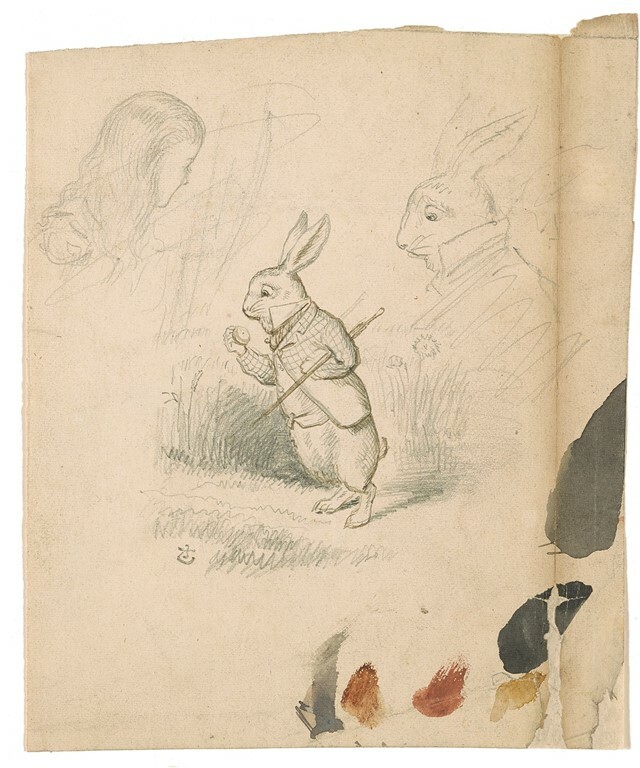 The talking flowers, the Mad Hatter, dancing lobsters and Humpty Dumpty didn’t scare Alice away – in fact, rather the opposite; the white rabbit, who she spotted wearing a waistcoat, checking his watch and speaking English enchanted her more than the book her sister was reading to her. Alice isn’t opposed to the whimsical and decides many times to indulge in drinks, cakes and tea parties with complete (sometimes mad) strangers. Who wouldn’t want to party with that magical cast of characters?